What Are The Most Sought After Work Perks In The UK? The Most Sought After Work Perks In The UK. You either have them, or you don’t. Some companies have fantastic work perks, the ones you see in viral listicles about ‘the coolest places to work’ usually with Innocent drinks and Google appearing in said listicles. More and more pressure is being put on employers to provide these ‘work-perks’ which are said to boost employee morale and attractiveness of a company. Today, we’re looking at the most desired work-perks, and if they really matter in the workplace. What even is a work perk? Simply, a work perk is a ‘perk’ that is put in place by management in recognition of your hard work within the organisation. It can be simple things like a longer lunch break, or being able to wear what you like to work. Or it could be a bigger perk such as being able to choose your own working hours or getting a pay rise. However, they’re not as simple to manage as they may seem, and can cause problems in an organisation. What you might think is a perk of the job might be someone’s idea of a nightmare. You might love casual Fridays but Helen on reception might hate them. Steve might think company cars are great but everyone else in the office can’t be bothered tracking the milage. What are the most sought-after work perks in the UK? Unsurprisingly, coming in at the top spot is additional holidays and leave from the workplace. This is closely followed by flexible working hours – again unsurprising that this is so high up the list. More and more people want flexible working hours to fit around their lifestyles, for example if they have children, or if they want to sync their days off with their partner’s shifts etc. Coming in at third place is a company car or compensation for travel expenses. The least desired work perks in the UK are dress-down Fridays, charity event days and budgets for training. What are the most widely offered work perks in the UK? So we’ve just looked at the top three work perks that are most desired in organisations in the UK. But what work-perks are we actually receiving? Coming in at the top of the list is staff discount. Everyone loves to save a little money here and there, so it’s unsurprising that this is coming out on top. Whether it be discount within your own company, or within different companies (e.g. NHS and Military Forces) discount is the most widely offered work perk in the UK. Not quite, but nearly matching the most desired work perk, the second most widely offered work perk in the UK is additional holidays and leave from work. Maybe workers are just being greedy after all. Almost 20% of UK businesses give out additional leave as a work perk to employees that are working hard. Third on the list is food and drink that is subsidised or completely free during shifts. This is most common in the hospitality industry. Fast food workers often get the option of 1 free meal per shift. 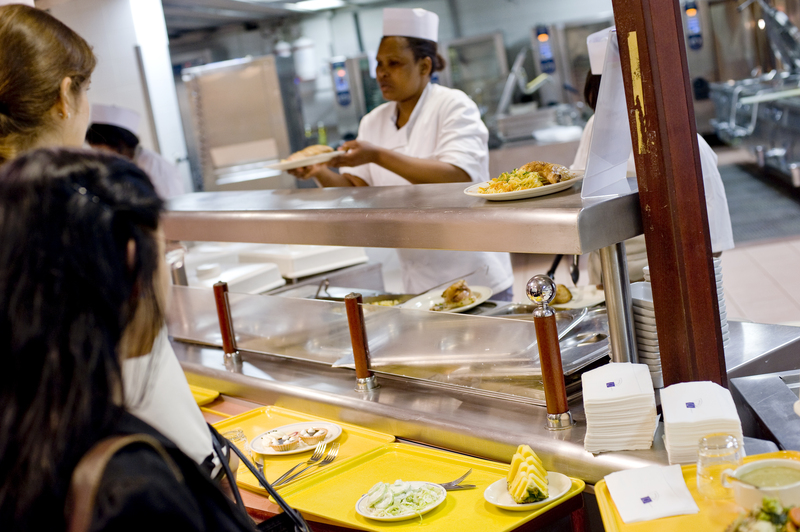 Those working in restaurants often receive receive a portion of food during their shift, particularly if they are working during a meal time. 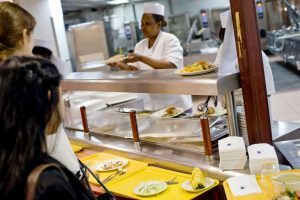 Other organisations have subsidised canteens, making it cheaper for staff to eat, instead of paying more from fast food joints and burger vans near the workplace. Are we just being ungrateful? Are we really just being ungrateful about our work-perks? You might be getting a subsidised lunch, but deep down you want more holidays. Dress down Fridays aren’t quite as cool as company cars. While you might not be over the moon about your work perks, just remember, there are companies out there with no work perks at all! What do you think? Do these little perks really make a difference to your overall attitude to work or are they just a gimmick? What is your most desired work perk? Is there anything your employer could offer you as a perk that you couldn’t refuse?